Beacon Cottage Farm er en campingplads med 73 åbne pladser. I lavsæsonen under perioden 01-04-2019 - 24-05-2019, 02-06-2019 - 01-07-2019 og 08-09-2019 - 30-09-2019, camperer du for €20,- per nat på en af de 73 åbne pladser på Beacon Cottage Farm i Saint Agnes (Cornwall). På denne campingplads kan du, udover fordelagtig campering med dit CampingCard ACSI, også bruge dit ACSI Club ID (stedfortrædende identitet). Aktiv familiebondegård i naturområde. Southwest Coast vandrestien med de smukke panoramaudsigter ud over Cornwall ligger ved siden af cp. 6 marker, nogle med udsigt ud over havet, nogle med en beskyttet beliggenhed under træerne. On site May 2018. A really rather special campsite. The position is stunning on top of the cliffs above the ocean near the coast path. The facilities are very good, the owner and staff friendly. Good mobile fish and chips calls twice a week. But it’s the view every time. Probably worth asking if you can be in Goose Field when you book to really make the most of it. Downsides - seagulls hopping around on your roof at 5 o’clock in the morning! Absolutely no other place like it in the world. Brilliant, relaxing, friendly, hospitable, could not ask for more. Could stay forever. The only problem is that nowhere else touches it, so back year after year. We stayed here for 4 nights over a wet and windy Easter weekend with our 2 children under 4. 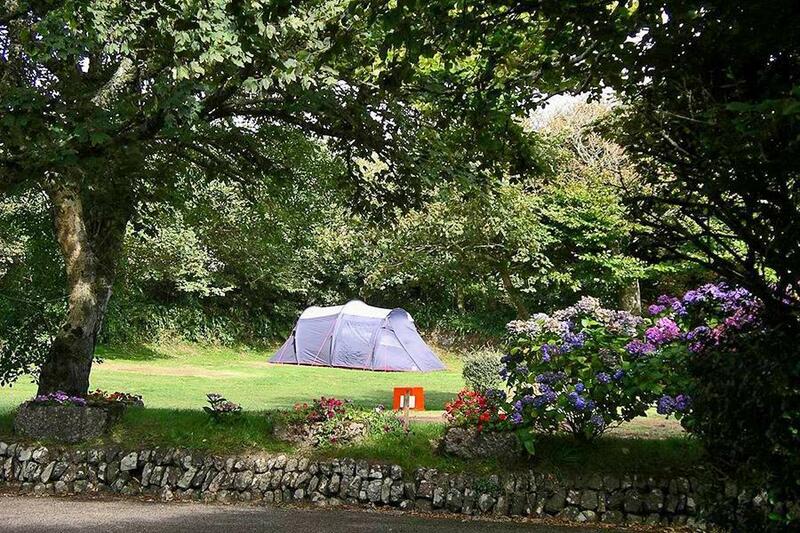 The campsite is truly fantastic, beautiful location, good clean facilities and welcoming staff. Spacious pitches with reliable electric hook up. The children's play area is good with a large grassed area for games etc. The site has a visiting fish and chip van on a Monday evening which is a bonus! There is so much to do in the local area with the SW coast path, St. Agnes Beacon & St. Agnes within easy walking distance and the rest of Cornwall within reach. Vil du booke Beacon Cottage Farm eller have yderligere information? Det kan du via nedenstående oplysninger. A30 Bodmin-Redruth, i rundkørslen Three Burrows B3277 mod St. Agnes. I St. Agnes mod Beacon. Følg vejen med cp-skiltene til den smalle indkørsel. Kommende fra Porthtowan: følg vejen gennem landsbyen, kør opad og følg cp-skiltene. CampingCard ACSI sender din forespørgsel videre til "Beacon Cottage Farm".